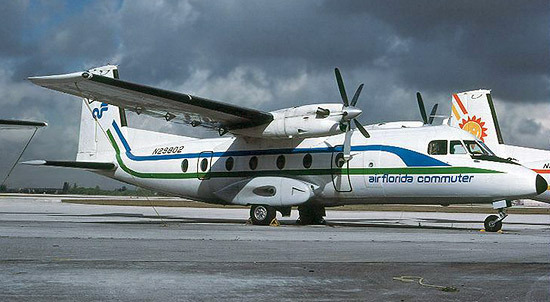 Air Florida Commuter was an not an airline, but a system of affiliated commuter carriers that fed traffic into Air Florida's hubs. In an arrangement commonly known as code-sharing, each airline painted their aircraft in Air Florida colors and their flights were listed in reservations systems as Air Florida flights. 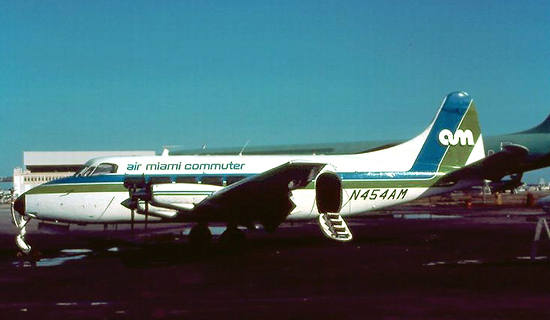 Air Miami became the first affiliate in 1980, and over a dozen other airlines eventually became part of the system, including: Marco Island Airways, Florida Airlines, Key Air, Southern International, Skyway, North American Airlines, National Commuter Airlines, Gull Air, Pompano, Finair, Slocum, Atlantic Gulf and others. 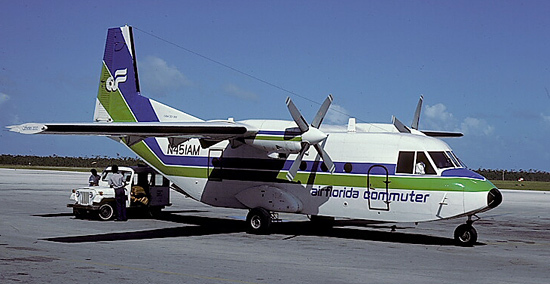 As Air Florida became financially strapped, the commuter system was dismantled in early 1984. Air Miami became the first Air Florida Commuter airline in October 1980. de Havilland Heron N454AM is pictured at Miami. ﻿Air Miami﻿ became North American Airlines in December 1980 and continued to operate flights for Air Florida using Herons and CASA 212s. The agreement ended in December 1981. This is N451AM, msn 165. Florida Airlines and its short-lived successor Southern International Airlines operated Martin 404s under the Air Florida Commuter banner from February until December 1981. This is N144S, which had previously flown with Eastern, Southern, and Ocean Airways. An undated Air Florida Commuter system timetable, circa late 1982, shows flights in Florida and New England. Interior of Air Florida Commuter system timetable from 1982. Note the list of equipment types at bottom right. 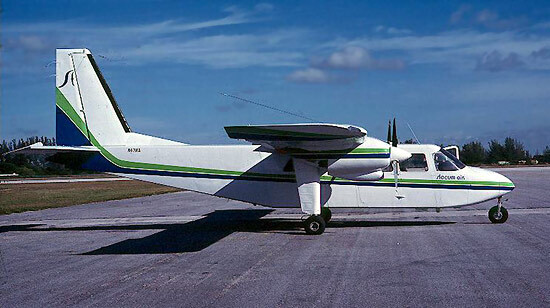 Marco Island Airways Martin 404s were used on Air Florida Commuter flights from Miami to Key West and the Bahamas. 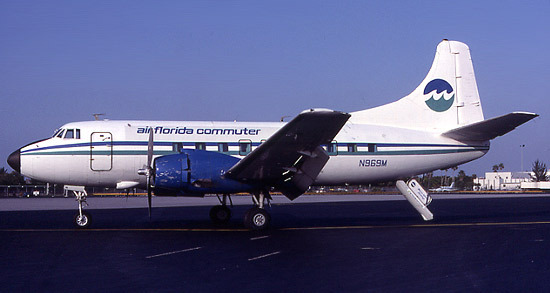 Utah-based Key Air operated Air Florida Commuter flights between major Florida cities using turboprop Convair 580s. N26KA is seen at Miami in 1984. National Commuter Airlines operated Nord 262 turboprops in Air Florida Commuter colors. Finair operated Embraer Bandeirantes and Piper Navajos in Air Florida colors. N302EB is pictured at Miami. Slocum Airlines flew Britten Norman Islanders and Tri-Islanders on Air Florida routes for a brief period. 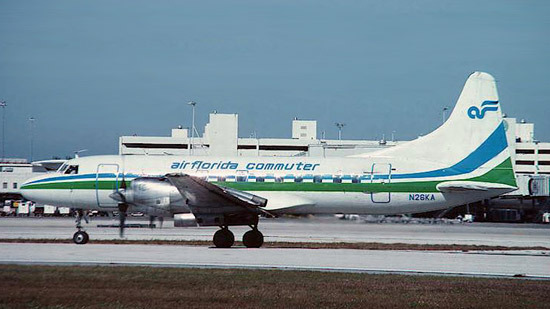 Several Convair 580s were leased from Frontier Airlines and used on Air Florida Commuter flights during 1983 and 1984. N73164 (msn 367) is shown at Atlanta during its time with Atlantic Gulf. Skyway of Ocala operated Piper Navajos and Beech 99s on Air Florida Commuter flights. Navajo N3582X is pictured at Miami in 1984. 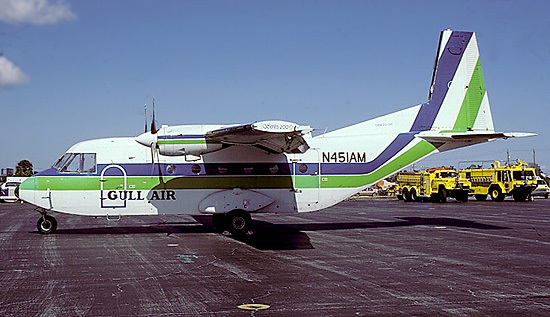 Gull Air was one of the final Air Florida Commuter carriers and operated contract flights until the system was disbanded in May 1984. This CASA 212, N451AM, previously flew with Air Miami and North American.